In the Reykjavik Marathon package there is a free entry to the geothermal swimming pools in Reykjavik. Giving free tickets to a swimming pool is very common in Icelandic races, because going to the swimming pool and running goes hand in hand in this country. 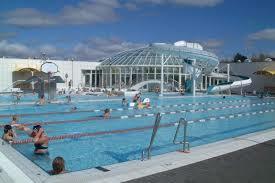 We strongly recommend that you make use of the free entry and try out one of the excellent pools in the city. There are of course many great pools outside of Reykjavik as well. Many running clubs and individuals start their run from the local swimming pool. Soaking in the hot tub after a run is a long standing tradition for Icelandic runners. Recently, many swimming pools have set up cold tubs as well which are gaining popularity among runners who believe that going into ice cold water helps sore muscles and improves recovery. And the hot tub feels even better after 30 seconds in the freezing cold! Below is a map of the swimming pools in Reykjavik. It is very important for people to find a clean geothermal swimming pool. It’s true, there are excellent pools.